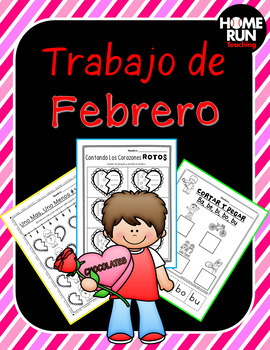 This February packet is a no prep packet to be used for math and literacy. 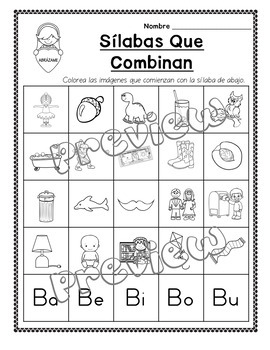 Literacy worksheets include matching capital with lowercase letters, writing capital and lowercase letters, identifying missing letters, high frequency words, handwriting tracing practice, color by high frequency words, journal pages, sílabas ba, be, bi, bo, bu; fa, fe, fi, fo, fu; and ra, re, ri, ro, ru; and more! 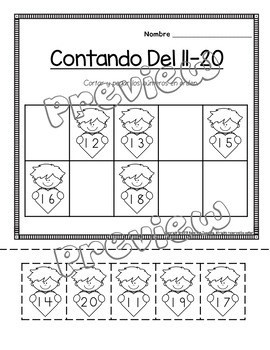 Math worksheets include writing and identifying numbers 1-20, identifying missing numbers, patterns, counting how many, 10 frames, one more and one less, addition, telling time and more! Please see the preview to get a better view at what is included in this packet. Be sure to leave feedback so you can earn points for TPT money towards TPT purchases!